Petty theft is generally referred to as shoplifting and is the unlawful taking of someone else's property with the intent to deprive the owner of the property permanently. Petty theft is usually charged as a misdemeanor if it is a first offense, and the value of the property stolen is valued between $50-$400. It can be punishable by a fine of up to $400 or by imprisonment in county jail for up to 6 months, or both. Petty theft can also be charged as a felony on your second offense. A second conviction of petty theft can carry a maximum sentence of 16 months in state prison. It is important to realize that while petty theft is a misdemeanor, a second arrest for petty theft may be filed and punished as a felony. A second conviction for petty theft carries a maximum of one year in either county jail or state prison. Petty theft can also be filed as grand theft when several petty thefts are committed against the same victim and the combined loss is over four-hundred dollars. Thus, multiple arrests and convictions for petty theft are make the punishment more severe. A single arrest for petty theft with no criminal history often leads to a better resolution of the case. Many petty theft cases involving minor losses are reduced to trespass violations with no jail time. Sometimes a civil compromise can be reached where no criminal action is taken against the offender, when the person injured by the theft is compensated for their losses. If charges are filed, a judge can dismiss the case if the person injured by the theft appears in court and acknowledges that satisfaction for the loss has been received including all costs. Theft or property crimes can be serious, depending upon the value of the property stolen and or the criminal record of the defendant. Theft offenses are prosecuted vigorously. Even the most minor offenses such as shoplifting should be taken seriously as they could result in inability to obtain citizenship, deportation, loss of or inability to obtain professional licenses, termination from your job, immigration consequences, jail, prison, etc. If your objectives remain the same – keep this out of public view and keep me out of jail – our experience with these cases and our extensive knowledge of alternative sentencing options will help meet those objectives. A prosecutor and a judge are going to want a stiffer sentence to make sure the arrested person knows the seriousness of the charges. 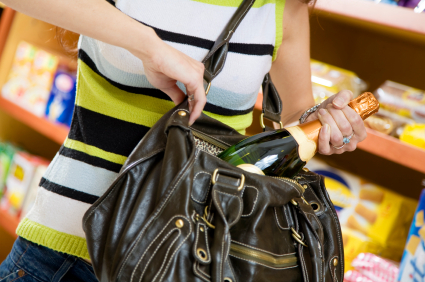 Shoplifting, or petty theft, is a common offense that can have very embarrassing consequences. Imagine sitting in a courtroom surrounded by other people. The people around you may have only committed minor traffic violations like running a stop sign or speeding. It can be a very uncomfortable experience when your case is called and the theft charge is publicly announced. You can avoid this public drama. Parents of minors convicted of shoplifting can be held civilly liable for money damages, court costs and the value of the merchandise taken. In our experience most shoplifting clients aren't really "criminals" but normal people who made a mistake by not thinking through their actions at a given moment. Most of our clients are generally the type of people that consider themselves good, law abiding citizens, but who made a mistake and did something out of character. However, a shoplifting charge is serious, and excellent legal representation is a MUST. The law can be complex, and sometimes simple cases are filed as felonies. Don't assume a shoplifting case is a minor matter or accept advice from well-meaning but uninformed friends or family; you need a qualified defense lawyer on your side. If you find yourself in this situation, please call The Sheena Law Firm today to discuss your case.